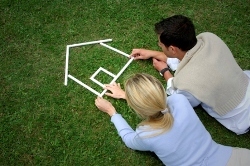 Choosing a place to live is an important step in life but also represents a high investment. Our mortgage insurance is aimed at giving security to the insured person by covering him/her for the whole duration of the loan. Up to a certain loan amount, no medical formalities are needed, which makes the insurance easy to subscribe. For reduced premiums, you get substantial protection. Available at our partner’s: Eurobank. In case of death or Permanent Total Disability, we will pay to the beneficiary 100% of the sum insured. In case of Death as a result of a Motor Vehicle Accident, the sum insured is increased by PLN 50,000. In case of Involuntary Loss of Employment, we will pay up to 12 months or up to PLN 60,000 of your monthly installments.